Nutrition, nutrition, and more nutrition. Media coverage, social or not, floods our day with so much information that you might think that you're poisoning your family with some of the products that you might be serving them. 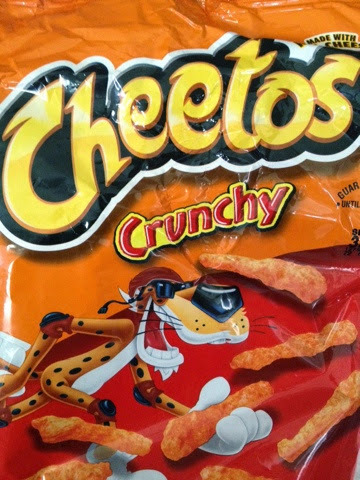 We try hard to eat a well-balanced diet with plenty of fruits, vegetables, and lean meats, but my kids eat Cheetos. 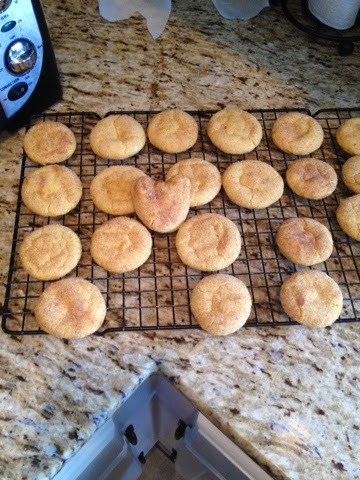 Oh and they eat snicker doodles too, which they make with me. Am I the worst mother ever? Nah, I am a human American mother. My kids are not obese. As a matter of fact they are a bit on the scrawny side. Now, I'm not saying we're heading off to McDonald's to fatten them up either. Fast food is as rare an experience as them attending the opera. Neither of my children has any food allergies either. Obviously this would change my perspective quite a bit. We can all try to be perfect parents and feed them only plant based products (which technically Cheetos are). The bigger thought here is that they are children. They should be having fun! Am I poisoning these two by offering a treat every once in awhile? Are they going to develop bad eating habits? Hopefully not if I teach them moderation and balance. That deliciously salty crunch can only follow a sandwich on whole wheat with spinach and no mayonnaise. Mayonnaise is just gross and tops my list of things that make me gag. Kids are like a canvas that you are holding up for them to paint. The type of paint they use is what you provide for them. A little bit of color will make a better painting, no? Every experience kids get is a lesson for their future life. If kids are too sheltered, they might go wild when they are given freedom at an older age. If kids aren't given enough structure, they will go wild when they are given the freedom at an older age. Yes the common thread here is that most children will go at least a little wild when they get older. It's called being a teenager. Teaching balance before those fun-filled, hormonally charged years is the goal. Without learning balance most people will feed their inner child with whatever makes him feel the best. We each only get one shot at this and we should have some fun during the ride. Left to their own devices, children would eat ALL of the Cheetos with a side of Coca-Cola served in an ice cream cone. Teaching these little gluttons to have fun in the right amount will hopefully result in kids who think before they over indulge in whatever the fun may be. The ultimate goal is for them to consistently think about their actions and the consequences that follow. Cause and effect is studied in every kind of science. So it should help children to learn about themselves easily. If you have 4 Mountain Dews at a football game, you will vomit. This is an actual lesson learned by a certain young person living here. Left on their own, the wild happens. As long as nothing too bad happens, these are the perfect moments to learn an effect or a consequence caused by their actions. 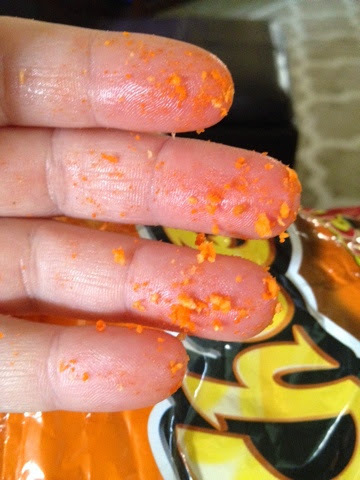 You eat Cheetos, your fingers are nasty orange. It's a lifelong lesson that each of us needs to learn and continue to practice. Balance between fun and everything else could just be the formula for happy. Balance between the right foods and the fun foods could be the formula for healthy too. My kids will happily eat their Cheetos with a side of broccoli. Let's hope the formula works. Only time will tell.